Sush creating a copy of her book Bhoot! Story of a Boy’s Fear. Photo, Yuri Long. Welcome to Studio Pause! 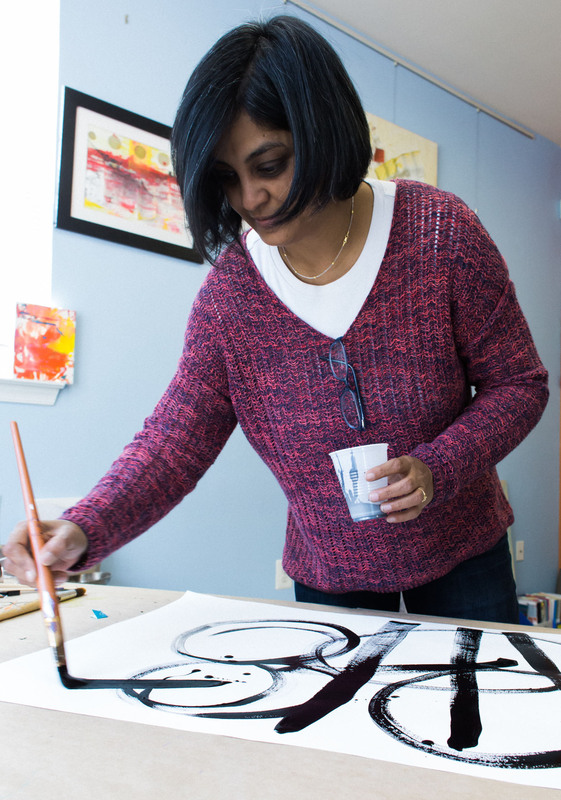 I am Sushmita Mazumdar, artist, writer, and educator, and this is where I work and invite others to visit, learn, share their art, and celebrate the art and writing of others. Since 2007, my work has been about encouraging children, families, and seniors to share their stories of home, heritage, and migration through the fun and exciting book arts. You can see some of my books on the Handmade Storybooks tab on this website. I believe that everybody is creative and everyone has stories to share—we just don’t explore them because we don’t have the time, don’t think we are very good at it, and we don’t think anyone cares. And that’s why we need to PAUSE. Explore: What will we discover as we Explore our senses and our emotions?